WHATEVER THE WEATHER the miniature trains run. Come for a ride every Sunday from April to October, 2pm until 5pm, at the grounds of the Cascade Leisure Centre. 50p a ride – FUN FOR ALL! 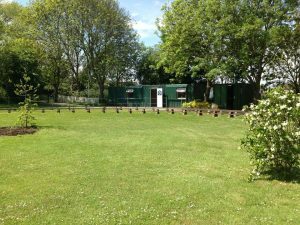 Park in the main car park and the trains are just by the driving range. 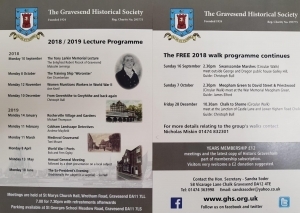 For more information please visit the GMMES Facebook page. All welcome to the Annual General Meeting followed by a short presentation on a local subject. 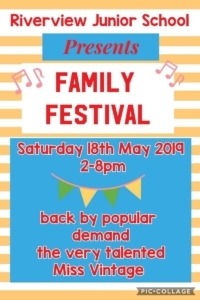 Come along to the Family Festival at Riverview Junior School. Back by popular demand the very talented Miss Vintage. 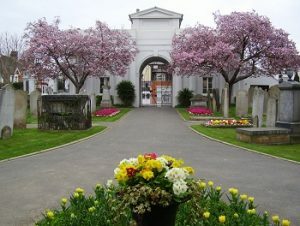 The theme this year is commemorating people that died locally as a result of World War 2. 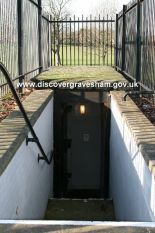 The walk will take place in Gravesend Cemetery. You will be required to book via telephone 01474 328485. There will not be any charge. 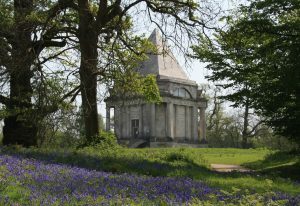 Enjoy a tour of Cobham Hall which is situated on the edge of the Kent Downs, an Area of Outstanding Natural Beauty. 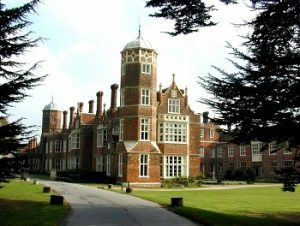 Cobham Hall is an impressive 16th Century Manor House nestled in 150 acres of historic parkland. 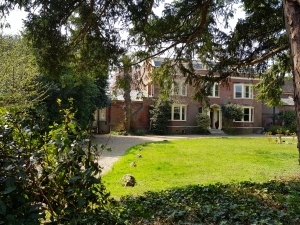 Steeped in history, Cobham Hall dates back to 1208, but occupancy of the site goes back to pre-Roman times. 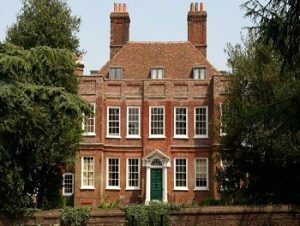 Cricket’s Ashes, Kings, Queens, Charles Dickens and many more share Cobham Hall’s history. No booking required. 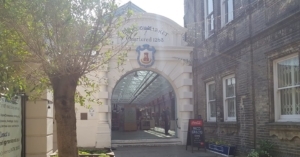 A fabulous pet event is taking place at Gravesend Borough Market this May. 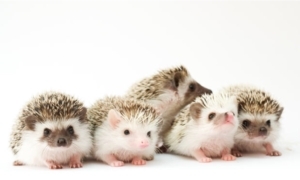 There will be a market full of pet related stalls, you can take part in fun free activities and enjoy talks and advice from the animal experts. 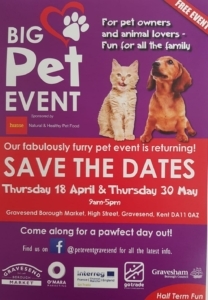 Includes: Pet Food, Pet Accessories, Pet Services, Expert Advice, Pet Health, Specialist Talks, Face Painting, Storytelling, Meet the Animals, Balloon Twisting, Vet School and lots more… Join the Big Pet Event Facebook page to find out all the latest info! 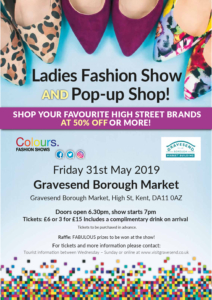 We are excited to launch our debut Fashion Show at the market on Friday 31st May! Doors open 6.30pm! Tickets are £6 or £5 for groups of 3 or more which includes a glass of fizz!! 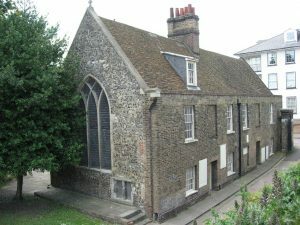 Join The Marlowe Singers for a Quiz Night at St Andrew’s Art Centre. Only £2.50 (bring your own refreshments). 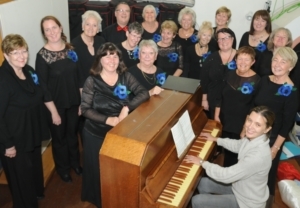 Raffle to include 2 free tickets to The Marlowe Singers next concert. 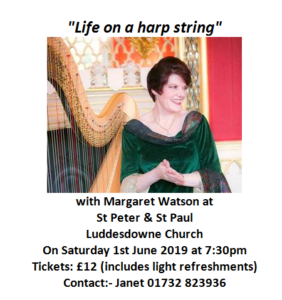 ‘life on a harp string’ with Margaret Watson at St Peter & St Paul Luddesdown church. Tickets cost £12 (which includes light refreshments). 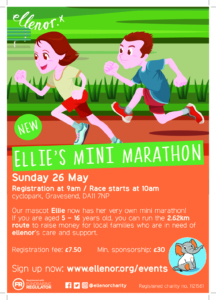 Contact Janet on 01732 823936 for more information. 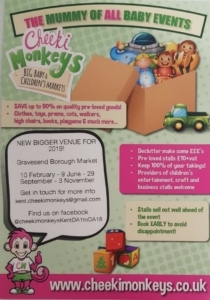 Come along to the Cheeki Monkeys Big Baby & Children‘s Market. Save up to 90% on quality pre-loved goods! Clothes, toys, prams, cots, walkers, high chairs, books, playpens and much more!